With construction nearly complete at Toronto condo, 8 Gladstone, Streetcar Developments has opened a new, beautifully designed model suite. Designed by Seven Haus, the new model suite shows off the great potential of 8 Gladstone. The design reflects the creativity that you will be surrounded by every single day in the Art and Design District. Out of the 89 loft suites, there are only a few remaining. This particular suite measures 969 square feet and has two bedrooms and a den, along with a spacious balcony. 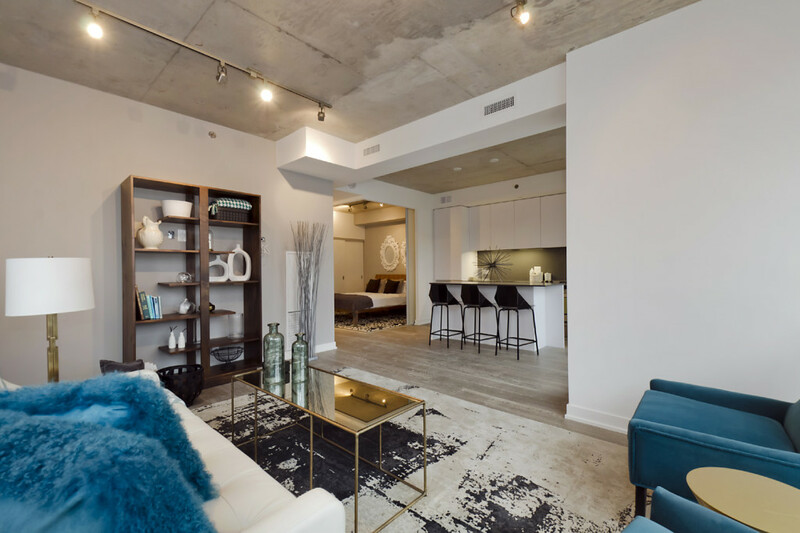 Some of the spectacular interior features and finishes include floor-to-ceiling windows, exposed concrete ceilings, grey white-veined hardwood Kentwood flooring, stainless steel appliances, and high quality Caesarstone countertops. We love the industrial chic direction that Seven Haus took this suite. This is what 8 Gladstone is all about. Located at Gladstone and Queen St. West, 8 Gladstone is at the heart of Toronto’s most vibrant art scene. 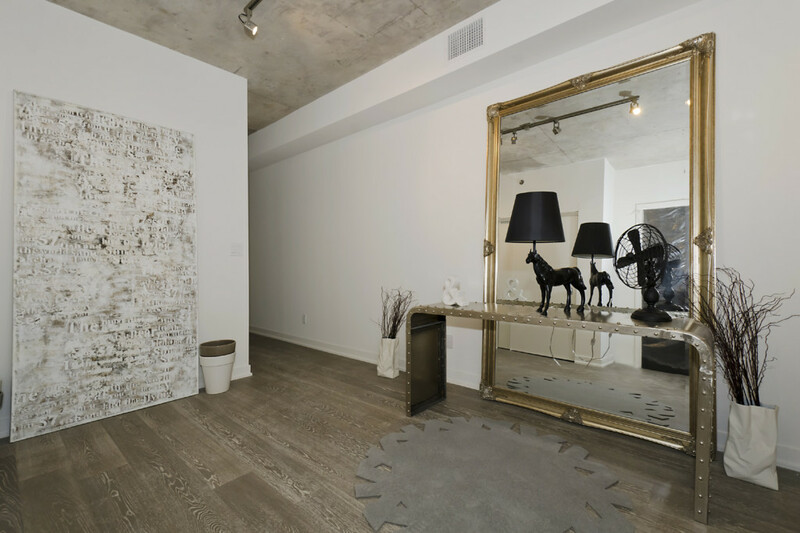 8 Gladstone is surrounded by amazing galleries, cafes, independent restaurants, and trendy boutiques. Just walk outside and there’s something to do - boredom doesn’t exist here. If any other neighbourhood in Toronto or beyond is ever desired, then you can take advantage of the 24-hour streetcar service along Queen, which runs right outside the front doors of 8 Gladstone. The Art and Design District is ideal for blossoming artists, young professionals, and even just the young at heart. Embrace your creative side and check out 8 Gladstone’s new model suite! 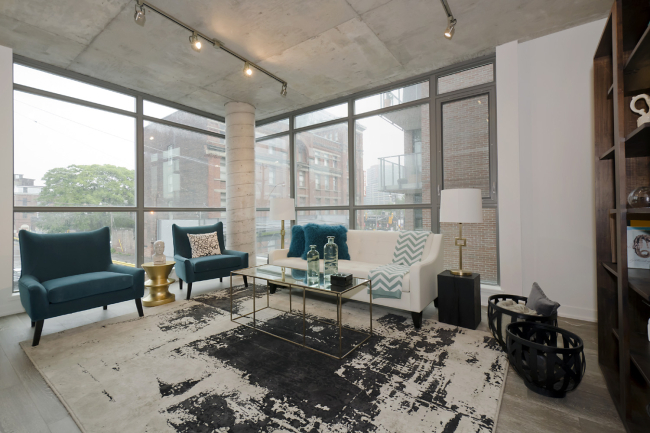 The remaining suites at 8 Gladstone start at 471 square feet, and prices start at $259,900. Streetcar is accepting visits to the 8 Gladstone Presentation Centre by appointment only. So, call 416-690-2988 or email info@8gladstone.com now to schedule an appointment.